I went to an IAAF press conference yesterday, for the first time in a long time. How things change! IAAF press conferences were always pretty lively affairs, due entirely to the tough questions thrown by the likes of me and the other Fleet Street ferrets (as Sports Illustrated alumnus Kenny Moore used to call us). But the big surprise in yesterday’s conference, in London’s docklands – a few underground stations from the Olympic Stadium, venue for this summer’s World Champs – was the working paper on progress in the Russian doping scandal. It’s the sort of document that used to be kept under wraps. But after his relative baptism of fire on assuming the presidency of the IAAF – the Diack scandal, his own stupid decision not to relinquish immediately his Nike ambassador’s contract (only 100gs a year), as well as the Russian doping, etc, etc – Lord Coe is now playing hardball. The document, entitled an Interim Report and authored by Rune Anderson, chair of the IAAF Taskforce was freely distributed. And it made for illuminating reading. The gist of the report is that, despite stated intentions over the past three months, no real progress has been made. More worryingly, it seems like Russian athletics luminaries like Yelena Isinbayeva and Yuriy Borzakovskiy have been not only complicit in semi-official and media criticism of whistle-blower, 1500 metres man, Andrey Dimitriev, which has caused him to emigrate for his safety; but that they may have been urged/forced(?) to do so by a government which is altogether too close to telling sports bodies what to do and say. 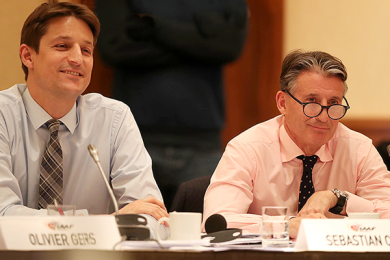 The whole document is available on the IAAF website – you can find a link to it on this page – https://www.iaaf.org/news/press-release/council-meeting-april-2017 – and I urge anyone remotely interested in the current state and future of our sport to peruse it. Incidentally, Russia is not the only country to be under the spotlight. The recent positive test for Rio Olympic marathon champ, Jemima Sumgong only underlines the problem in Kenya. As we used to say 20 years ago, the Kenyans and Ethiopians are already too good; it they ever start doping, then it’s the end of the sport. Well, welcome to the present; and we are hurtling towards the abyss. Sport does not operate in a vacuum, even less so nowadays, given the huge amounts of money involved at the elite level. In the world of ‘soft-power’ the British government and people have been basking in the sunshine of a decade of UK Olympic success from Beijing to Brazil. And there is little doubt that attempting to reproduce that sort of success in the Winter Olympics led to the wholesale manipulation of positive Russian dope tests in Sochi 2014. And, unlike what we choose to call democratic countries where we tell the government what to do or where to go (within limits) – eg Brexit, the election of Trump, and the decision of most UK sports to go to Moscow 1980 against the wishes of Thatcher and her cronies – the same cannot be said about an increasingly Tsarist stance, ie the road to absolute power taken by Vladimir Putin and his obliging band of oligarchs. But Seb, as I was glad to hear everyone calling him, even in questions from the floor, is making no bones about the tough task ahead for Vlad and his puppets. At the conclusion of Wednesday evening’s press conference in London, Coe said, ‘(IAAF) Council was disappointed and concerned to learn that the prospect of the milestones being fulfilled this year by RusAF remains a distant one. In particular the situation of the athlete Mr Andrey Dmitriev, a champion of the clean sport movement in Russia, is alarming considering he has felt it necessary to take sanctuary abroad. Anyone with information about a system which has failed to protect the goals and aspirations of clean athletes must feel it is safe to speak out’. I’m no mouthpiece for the IAAF, past or present. But I am mightily impressed by this tough stance; and whatever you might think about doping, and I am increasingly ambivalent about the parameters and indeed efficacity of dope testing, Lord Seb is on a roll. He made himself a hero in setting close to a dozen world records and winning back-to-back Olympic 1500 metres titles (the only man in history to do); he hit the heights again, when fronting the enormously successful Olympic Games in London 2012; and it seems that London 2017 is well on its way to being another smash hit, with the highest ticket sales thus far in the championships’ 34 year history. But being prez of the IAAF might prove the toughest task of them all. There used to be a UK comic book character nicknamed the Tough of the Track. With his bully-boy track tactics, Coe’s arch-rival Steve Ovett used to be lead candidate for that sobriquet. But it looks like Coe has co-opted it himself; and given his parliamentary background, he is also following in the footsteps of a famous statesman, US President Theodore Roosevelt, one of whose most enduring pieces of advice was, ‘Speak softly and carry a big stick’. Lord Coe is not even bothering to speak softly! And the IAAF is all the better for it. ← GIVE US THE STORY! The boy done good, but we always knew he would. Heart was always in the right place. For those of you unfamiliar with the bestiary of Fleet Street (ie the former centre of UK national newspapers), Neil Wilson was one of the Chief Ferrets. I can’t agree the sentiments regarding Coe as a tough leader of the IAAF ….Too little, too late, and his recent history as a “I was not aware of any wrong doing” Vice President of the IAAF and his previous “clean bill of health” for FIFA as Chairman of their ethics committee for almost 2 years, does little to inspire confidence in his current proclamations…………And lets us not forget his “this is war” comment regarding the DCMS Select Committee wanting to question him over the Diack corruption, (of which he claimed to know nothing!) clearly showed his disdain at being called to appear…….and when he did appear treated the Select Committee almost with contempt especially when later asked to return. ………..It should also be noted, that Coe seems to have a very poor memory of even his own business activities when he told the Committee in answer to their questions over his continuing $100,000 a year consultancy with Nike and the Committee’s view of an apparent conflict of interest with his Presidency of the IAAF, that he (a multi millionaire) had to “earn a living” and that he had been with Nike throughout his athletic career but neglected (or forgot?) that he parted with Nike for some years and was then with Diadora setting up his own London office for the company………….Such an omission to a government Select Committee for Sport must raise questions over his ability to retain information, or was it deliberate? ………………One also has to question the award of the 2021 World Athletics Championships handed to Nike’s HQ town of Eugene, without due bidding process especially given the Coe’s involvement as a “world wide ambassador” for Nike and his obvious influence in the IAAF?…………Coe may ‘talk the talk’ but whether he can ‘walk the walk’ in his declarations on cleaning up the sport, remains to be seen. Because many of the 98 cheating athletes identified from the reanalysed samples from Beijing 2008 and London 2012 were not Russian, none of this concentration on just Russia inspires confidence. The entire story appears to have been spun in a direction to focus all the negative energy on Russia, and it has to be said, all the positive energy on the UK. Wada (who are have not done anything to inspire confidence themselves) are having their newly recruited doping officers trained by UK Anti Doping. In case you are not aware UK Anti Doping are the organisation who, when told where cheating athletes are competing, send out tweets to warn the cheats to stay away, because they will testing, then for a double layer of obfuscation, they don’t bother turning up to test at the event to test. Who trusts UK Anti Doping, other than the British government who is footing the bill. Lets not forget Hugh Robertson, the 2012 Sports Minister’s enthusiasm for using his influence to steal an advantage over other nations. Frankly don’t trust any of them, don’t trust the Olympic Games, don’t trust IAAF World Championships, don’t care if UK were to pull out altogether. Its only sport. Why not get our house in order in the UK by removing all the financial incentives.  Reinventing Track & Field Athletics as a participation sport, not an entertainment. When Athletics sees itself as entertainment, it is hard to distinguish itself from a bunch of circus performances. Nike’s “HQ town,” is Beaverton, not Eugene. Eugene is two hours south by car. The IAAF has awarded championships before w/o a bidding process, and there is no rule requiring them to do so. Otherwise your points are well stated. It would be interesting to see Seb play hardball with some other countries like Kenya and Ethiopia, just two of many nations whose athletes have evaded out of season testing for decades. On the rare occasions athletes from these countries are tested out of season/out of competition an astoundingly high percentage are found to be on drugs, such as Kenya’s Jemima Sumgong who was popped by a drug test earlier this month. She was the women’s marathon gold medalist in Rio. This isn’t an attack on those countries, but the playing field is not level so to speak, and certain dodgy doctors, coaches, and managers have taken advantage of the lack of off season testing in these countries. Too bad he is a total cuck to the African drug cheats. “Cuckservative”, often shortened to cuck, is a neologistic term of abuse formed as a portmanteau of the word cuckold and the political designation conservative. It has become an increasingly popular pejorative label used among alt-right supporters in the United States. I appreciate to read this, thanks for an interesting piece of text. Seb Coe had good parents. And let’s hope there will be a lasting and true wind of change in athletics.